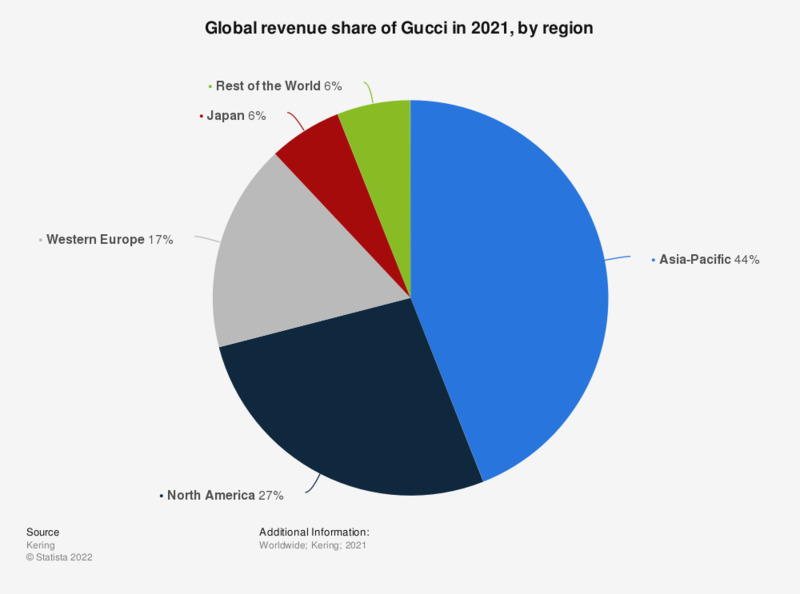 This statistic depicts the global revenue share of Gucci from 2012 to 2018, by region. In 2018, the North American region generated 21 percent of Gucci's global revenue. The global revenue of Gucci was approximately 8.3bbillion euros in 2018. The global luxury goods industry, which includes drinks, fashion, cosmetics, fragrances, watches, jewelry, luggage and handbags has been on an upward climb for many years. The value of the global personal luxury goods market was 212 billion euros in 2013 and is estimated to be worth about 262 billion euros in 2017. Everything On "Gucci" in One Document: Edited and Divided into Handy Chapters. Including Detailed References. How do you compare personal luxury items?